You guys....how pretty is this package and ring! First of all, the ring came in this pretty blue box, tied with a white ribbon. 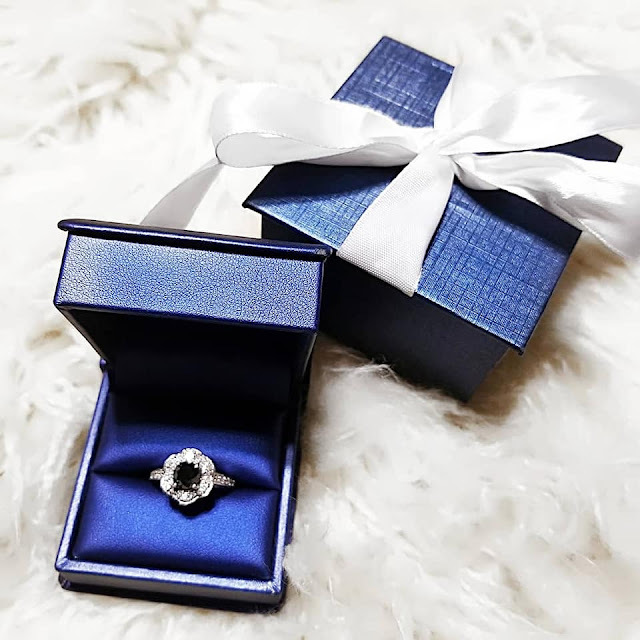 The box makes for the perfect gift giving and with Christmas coming up soon, this ring would be the ideal gift for that special gal. 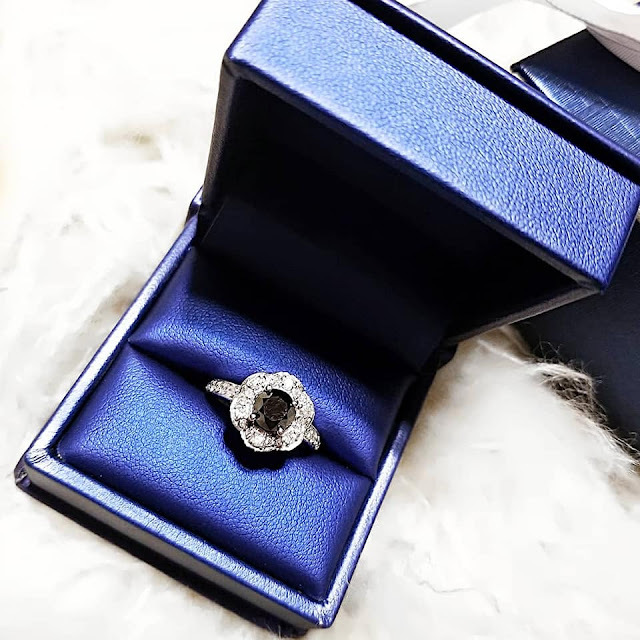 The ring, itself, is a Flower Style Black Diamond Halo Ring, perfect as an engagement or wedding ring. It has a 1.28 carat weight with a 14K gold finish over a rhodium plated silver. The ring is by Glitz Design and is absolutely gorgeous. The top is a natural, earth mined black diamond nestled in a flower halo style ring setting. The ring shines nicely under the lights. I think this ring is not only ideal for weddings, but great for Valentine's, Christmas, Birthdays or just everyday wear. 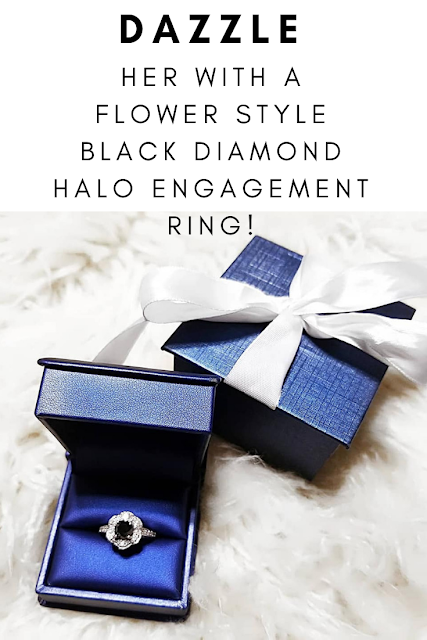 The Flower Style Black Diamond Halo Ring can also be worn as a cocktail ring, to dress up that little black dress! 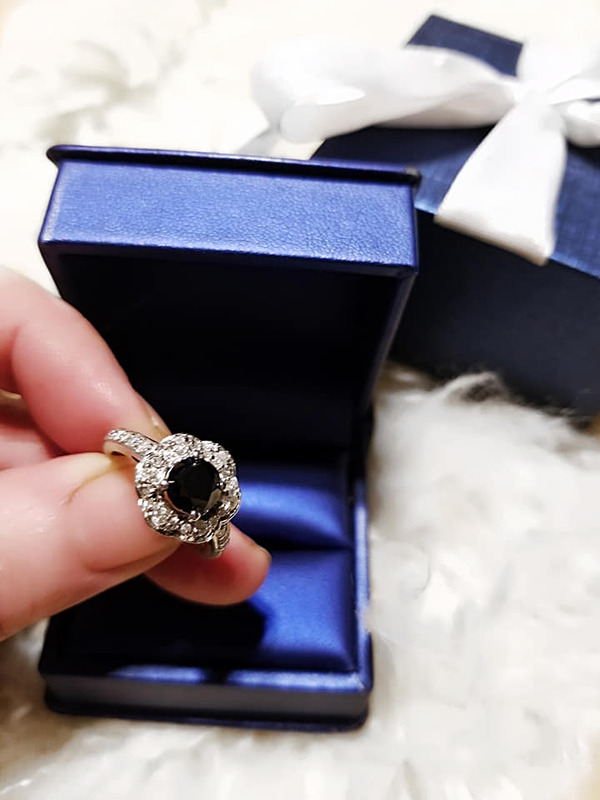 The Glitz Design Black Diamond Halo ring really seems to make a statement and looks really nice, on. I love how the flower style top really stands out and is different than most of your traditional engagement and wedding rings. Ring is priced at $359.30 on Amazon and can be found here: http://www.amazon.com/gp/product/B076D9MQYR.